Josué Rodríguez, 3rd year Ph.D. student, has just been awarded a Mellon Summer Fellowship to conduct pre-dissertation research in Santiago, Chile. Here is what he told us about the importance of visiting the Vicente Huidobro Foundation for his current project. What are you going to do this summer thanks to the Mellon Summer Fellowship? The Mellon Summer Study Grant will allow me to travel to the Vicente Huidobro Foundation in Santiago, Chile. There, I hope to analyze Huidobro’s literary journals, magazines and other collaborative texts, and trace the way they reflect and respond to avant-garde activity both across Latin America and in Europe. The networks of artists, poets, and thinkers these texts form, as well as the essays, manifestos, and poetry they circulate are important in conceiving the complex trans-Atlantic relationship between movements like French Surrealism and Huidobro’s Creacionismo. The foundation itself performs a variety of roles in addition to being both museum and archive. It has benefitted from the membership of prominent poets like Octavio Paz and Nicanor Parra and scholars like Saul Yurkievich and René de Costa. It contains over 8,000 archived records, including manuscripts, photographs, first editions, and personal documents. Some of these documents include letters and photographs that catalog Huidobro’s relationships and with artists and intellectuals like Pablo Picasso and André Breton who are central to the avant-garde. 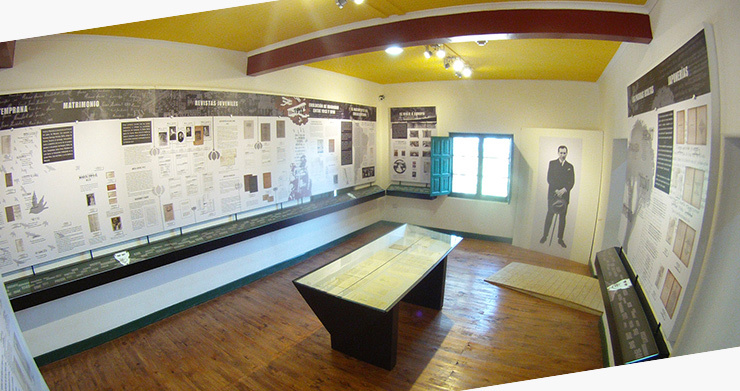 Ultimately, through a wide variety of available materials, the Fundación makes a great effort to contextualize Huidobro and his work within his multifaceted historical and cultural milieu. I feel very fortunate to be able to visit and explore this unequaled site of research. How do you think the Mellon Summer Fellowship will help you develop your dissertation? Primarily, I am interested in examining how Surrealism’s conceptualization of authorship, politics, poetry, and art was appropriated, rejected, and/or otherwise reconfigured by Latin American vanguard poets in the early to mid 20th century. As a result, at this early juncture of my research, the Mellon Summer Study Grant will allow me to begin formulating research questions for my prospectus around one of the prominent voices of Latin American vanguard poetics, the Chilean poet Vicente Huidobro. Focusing on the literary journals founded by Huidobro will help reveal the constant shifts in his aesthetic and political goals. Huidobro’s participation in avant-garde activity between 1916 and 1925 in Europe is crucial to his later re-articulation of what Latin American vanguard poetics should be in method, politics, style, and tone. As a result, studying these documents at the Foundation will provide important framing for a broader theorization of a Latin American poetic identity and its relationship to trans-Atlantic movements like Surrealism. What professor(s) are you working with and what role did they have in helping you with shaping your research interest and/or in writing a competitive application for the Fellowship? I have been fortunate enough to find a number of professors here at Rutgers who have influenced my thinking and continue to help develop my focus around these subjects. I am currently working with professors Marcy Schwartz and Karen Bishop from the Department of Spanish and Portuguese, and Nicola Behrmann from the German Department. With respect to the Mellon Summer Study Grant proposal, both Karen Bishop and Andrew Parker offered very helpful advice on how best to communicate my project. 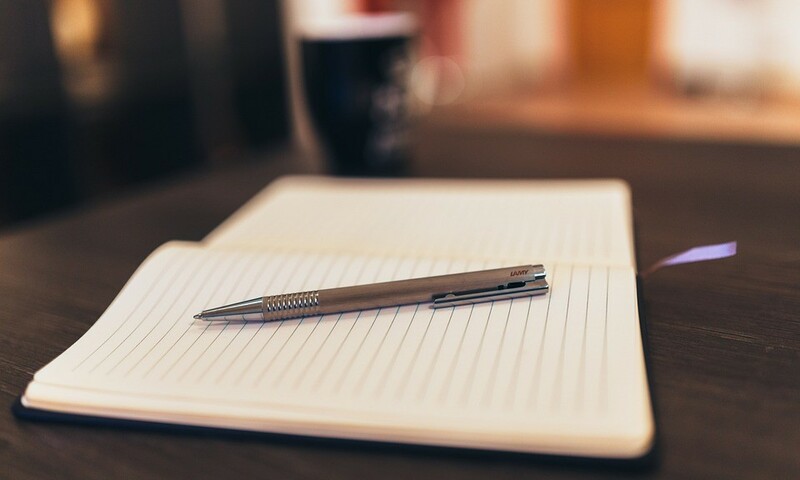 Proposal writing can be a dramatic shift from other academic styles of writing, so their input and experience were instrumental in helping me clarify my goals efficiently and effectively. A warm and sincere thank you to them for all their help! Carolyn Ureña, 5th year Ph.D. candidate in Comparative Literature and GradFund Advisor, has just been awarded a Mellon Dissertation Fellowship to complete her very promising interdisciplinary project. We asked her a few questions about her current work, her experience at Rutgers, and the application process. Could you tell us a little about the topic of your dissertation and what professors you are working with? Working at the interface of literary studies, decolonial theory, and disability studies, my dissertation draws on literature and film across a variety of genres, including fiction by Ralph Ellison, Gabriel García Márquez, Toni Morrison, and Junot Díaz, to demonstrate how literary narratives about illness and disability contribute to understanding racial formations and ameliorating colonial wounds. The dissertation develops a critical framework for understanding the ways in which a sustained encounter between critical race studies, disability studies, and the medical humanities can generate new conceptions of health and healing. I accomplish this through a reassessment of the writings of decolonial theorist Frantz Fanon, a physician who used narrative case studies and ethnography to illuminate the imbrication of race, illness, and disability. By introducing a decolonial perspective to the study of narratives of illness and disability, this project not only challenges the medical humanities and disability studies to consider the experience of race and the effects of colonialism, but also foregrounds questions of disability and illness within the fields of race theory and postcolonial studies, where they have until now received minimal scholarly attention. Throughout my time at Rutgers, I have been very fortunate to have the opportunity to work with scholars who have encouraged me, helping my project grow in new and unexpected ways. My dissertation chair is Ann Jurecic, and my committee is comprised of Nelson Maldonado-Torres, Susan Martin-Márquez, and Michelle Stephens. Together these professors bring expertise in narratives of illness and disability, decolonial thought and Frantz Fanon, film, and trauma, and the critical feedback and unwavering support of my committee have made the dissertation writing process fun and intellectually rewarding. How would you relate your dissertation project and its critical focus with the intellectual environment you found at Comparative Literature? I have experienced a wonderful synergy between the interests I brought to Rutgers and the way they were nurtured and developed while here. I arrived at Rutgers interest in the medical humanities and so immediately identified Ann as a potential advisor – I even emailed her before I got on campus to ask her advice on books to read! As I dove into illness narratives, I re-encountered the work of Frantz Fanon, first with Susan in her “Embodied Cinemas” course, and then again with Nelson in a course on “Caribbean Theorizing.” Re-reading Fanon in a film course centered on the body and then again in a decolonial context allowed me to develop ideas about Fanon as a doctor, phenomenologist, and cultural critic who cared deeply about healing, and in retrospect I feel that the collision of these ideas could have only happened at Rutgers. The more faculty members I engaged in my project, the stronger it became. My advice to graduate students would be to talk to as many people as possible about your project, at every stage. You never know when someone will suggest a book or article for you to read that will help shape your ideas. Can you briefly describe the application process to the Mellon Dissertation Fellowship? Based on your experience, when do you think a student should apply and why? The application for the Mellon Dissertation Fellowship consists of a 25 word “abstract” of your project, a 500-word project statement, and two letters of reference. This may seem straightforward, but as with all competitive applications, it takes a lot of thought and revision to get this genre right! As a Fellowship Advisor at GradFund, the graduate fellowship advising office of the Graduate School-New Brunswick, I would recommend applying for dissertation completion fellowships when at least half of your dissertation is complete. This is important because in your project statement you should directly state how many chapters you have written as well as how you will complete your dissertation during the fellowship year. It is also key that your statement be legible to scholars across various fields, not just literature, and this is precisely where sharing your drafts becomes essential! I shared my drafts with my committee, with professors in Comp Lit who I knew had served on review panels in the past, and, of course, with GradFund. The fellowship advisors at GradFund are trained to read across the disciplines, and before working there I frequently took advantage of their summer mentoring programs and individual meetings to improve my grant writing skills and figure out the best time to apply – I cannot recommend them enough! By getting a variety of perspectives on your work you will have a better chance at hitting that jargon-free sweet spot. I should also mention that the year that you apply for the Mellon Dissertation Fellowship you should also be applying to external completion fellowships, such as the Ford, the ACLS/Mellon, and, if applicable, the American Association of University Women, to name a few. These applications have deadlines in October and November, which will also put you in a good position to apply for the SAS Mellon, typically due in December. I recommend beginning the drafting process in the summer before the application deadline to ensure you have enough time to receive feedback and revise your essays multiple times. My experience at Rutgers Comp Lit has been one of genuine collaboration between colleagues, classmates, and professors, and I look forward to continuing that process during my fellowship year.